It had to take an engineer with a racer’s mind to design the best V8 coupes. Typically a coupe is a car that weighs much less than your standard automobile. Couple that light weight with the power of a V8 engine and you’ve got a machine built for pulse-pounding acceleration and lightning-fast speed. Knowing that you’d want to know which of these bullet-machines were the best for the 2010-2011 model year, we researched the testing archives of Car and Driver, Consumer Reports, Edmunds, and Motor Trend to bring you the list of the best V8 coupes. 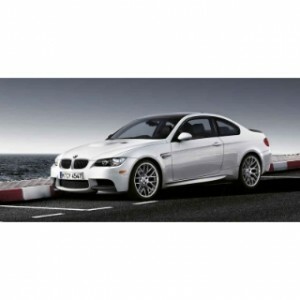 “The 2011 BMW M3 is perhaps the perfect all-around car for enthusiasts. From track-day shenanigans to the daily commute, the M3 does it all with aplomb.” (www.edmunds.com) The 4.0L V8 engine transmits 414 horsepower and 295 lb-ft. of torque through one of the smoothest seven-speed dual-clutch automatic transmissions available. A six-speed manual is the standard transmission, so if you want the auto it’ll be an option. The new M3 is the heaviest yet, but also the best driving. Bumps are virtually eliminated by a cushioned suspension and acceleration is downright exhilarating. When limited interior storage is one of the only knocks against it, you know you’ve got a great ride. 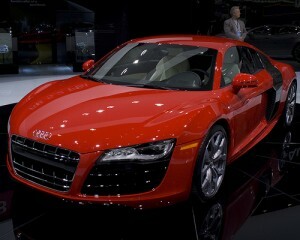 Though it is extremely pricy, when you drive the R8 you’ll know exactly where your money went. When driven through winding roads it exhibits amazing power and cat-like reflexes. Stick with the manual transmission and you’ll enjoy one of the best driving experiences available from any vehicle. Though it is available with a V10, the 4.2L V8 is plenty to haul around this 3,600-pound super-coupe. The interior is much roomier than what it appears to be from the outside, and the list of amenities is endless. Even with its exotic price, there’s not much you can say bad about the R8. 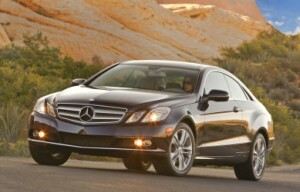 The E550 features a 5.5L V8 which doesn’t quite match the power of the BMW M3, but it will definitely turn some heads. The styling of the coupe model will also leave owners feeling as though they’ve just purchased a luxury slalom racer. Handling and ride quality are second to none, and interior styling is just as sleek and sophisticated as the exterior. It does feature smaller “sport” seating than the sedan model, which can be somewhat cramped for larger drivers. On the other hand, BMW’s options and amenities make owners feeling every bit as luxurious as the tri-star emblem signifies. Every other car on this list would be considered a luxury coupe. This is the first model that fits the bill as a sports-class vehicle, and it is indeed sporty. The 5.4L supercharged V8 engine pumps out a heart-thumping 550 horses and 510 lb-ft. of torque. That’s more than many full-size pickups. The Shelby GT500 will rush from zero the 60 mph in just 4.3 seconds and still get an impressive fuel economy of 15/23 mpg (city/highway). It is faster and more performance-minded than its revered 1960s predecessors. That’s saying a lot, and it may mean quite a bit more for the resale value if you can hang on to it for a couple decades.